The NASA India is one of the largest Architectural Student Organizations in the world with student participants from more than 200 colleges all over the India and countries around the world. 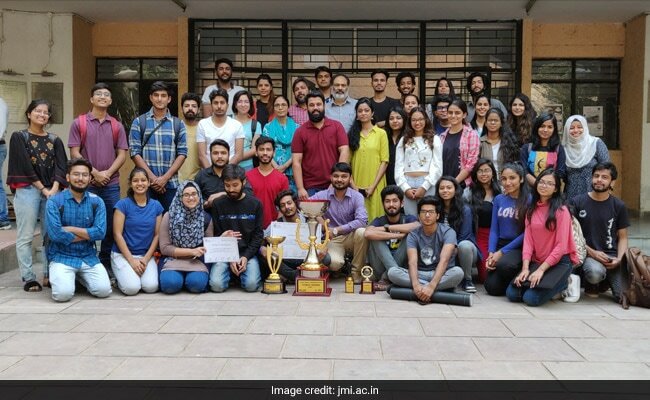 Faculty of Architecture and Ekistics, Jamia Millia Islamia (JMI) came first under Zone 1 of the NASA or National Association of Students of Architecture convention. The Faculty got the award in Zonal NASA convention with the theme of 'EDITOPIA: OVERWRITE PERFECTION'. The NASA India is one of the largest Architectural Student Organizations in the world with student participants from more than two hundred colleges all over the India and countries around the world. The main objective of NASA India is to create a platform for architecture students to learn and interact, engage them directly and indirectly through both online and offline platforms, said a statement form JMI. NASA India conducts events, conventions, seminars, workshops, design competitions & trophies and many other activities. NASA was held from October 18 to 21, 2018 at College of Architecture IET Bhaddal, Chandigarh with over 50 Colleges attending the convention. "Architecture is living and vibrant, all diversity gets into architecture. NASA is the forum which offers the free expression with competitive spirit to students of architecture. It is great this year Jamia students have excelled again," Prof. S. M. Akhtar, Head of the Department said on the performance of the students. 49 student delegates including the Unit secretary Aman Ullah and the Unit Designee Syed Suhaib Hasan attended the Convention from JMI along with three faculty members Mr Imaad Nizami, Ms Anupama Kumari, Fahad Bin Khurshid and participated in various events, trophies and workshops.